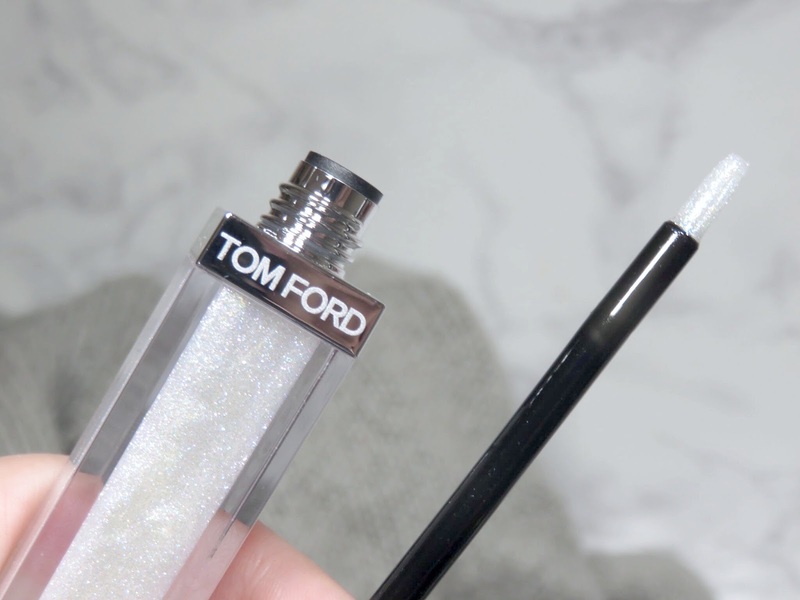 So if you're a big fan of Tom Ford and having been following my blog for a while, you will have read my Extreme Lip Lacquer Review (here) and for probably the first time ever, I spoke about how I actually HATED those lip products. Yes, HATED! Because they were impossible to get even on the lips, no matter how many layers I applied! 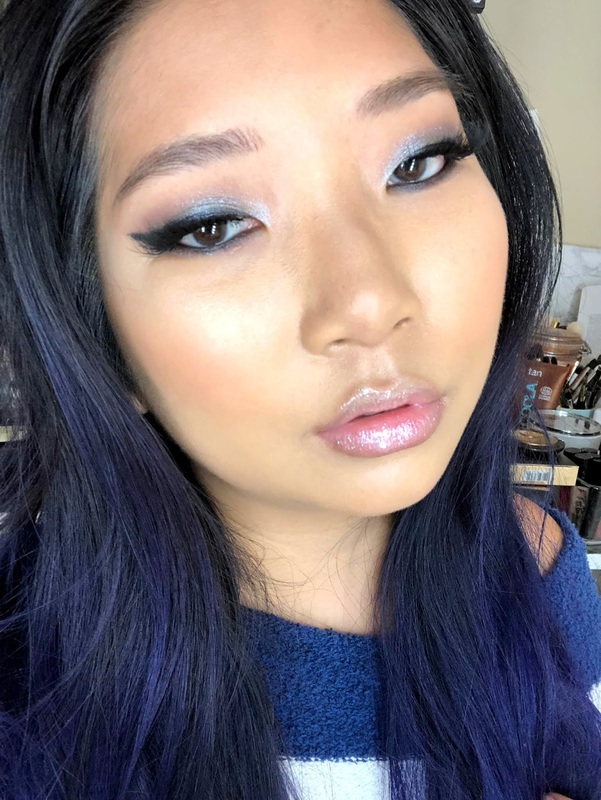 It was only decent when I applied a gloss on top and when I discovered the Louboutin Loubilaque Sequins Lip Gloss, which are holographic shimmer lip glosses, I actually loved the look of the Extreme Lip Lacquers, as I shared on Instagram and in my review of them (here). Hmm.... so coincidence? Yes, probably because they were probably developing this product for some time now but I'd like to think that my words as a consumer and a fan of brand brought this about. But probably not. 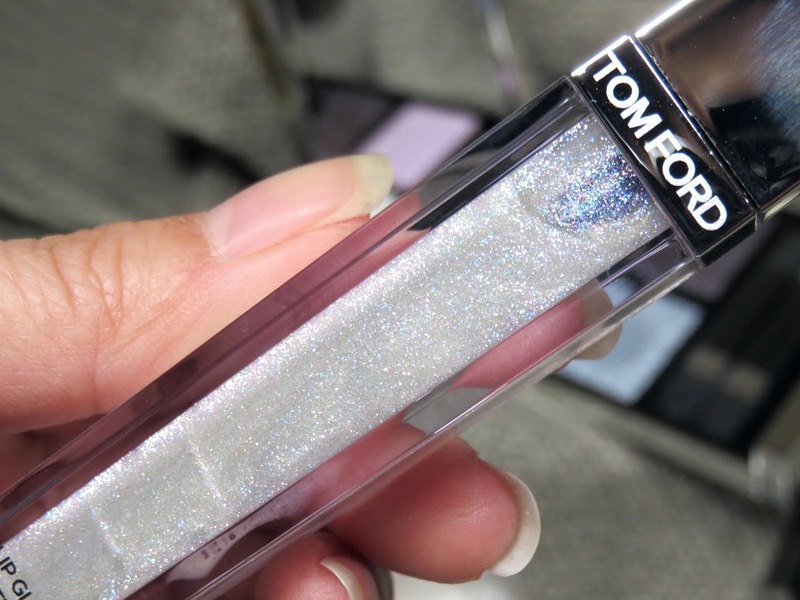 Regardless, Tom Ford has created his own holographic lip gloss and I'm all for it! The Tom Ford Extreme Lip Fluid retails for $52.00 USD and is limited edition and exclusive to Sephora. 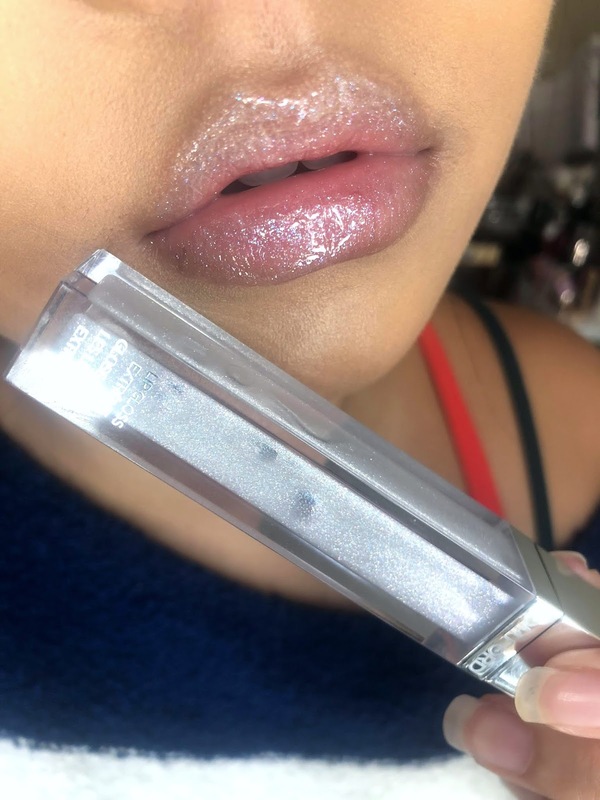 Like all of the Extreme Collection, this gloss has a reflective chrome portion of packaging, which is very pretty but very fingerprint-prone. Luckily, it's only the top of the tube and the rest of the packaging is clear plastic. 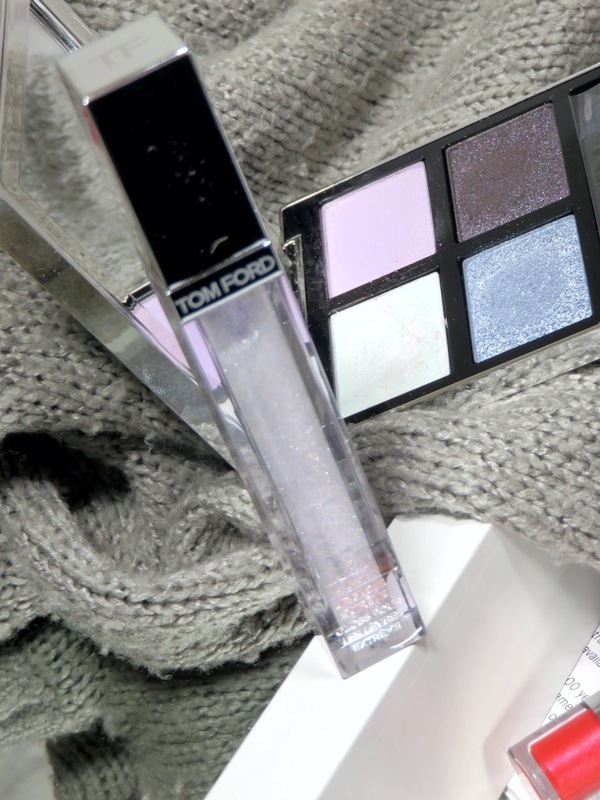 This lip gloss is a clear base with silver, blue, white, pink, and purple shimmers heavily distributed throughout it. 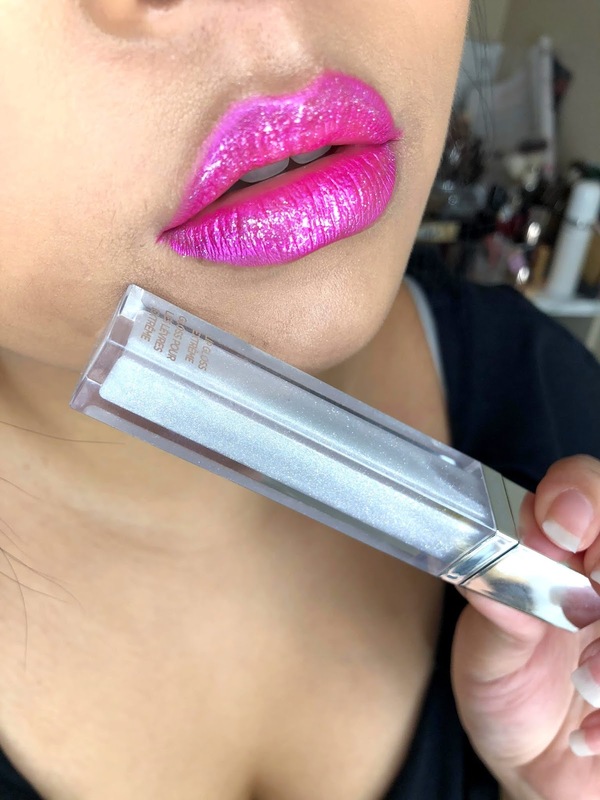 While it does remind me of the Louboutin Loubilaque Sequins Lip Gloss in Crystal Queen, it has a stronger shimmer and shows up stronger on the lips. For half the price, it's a better lip gloss. 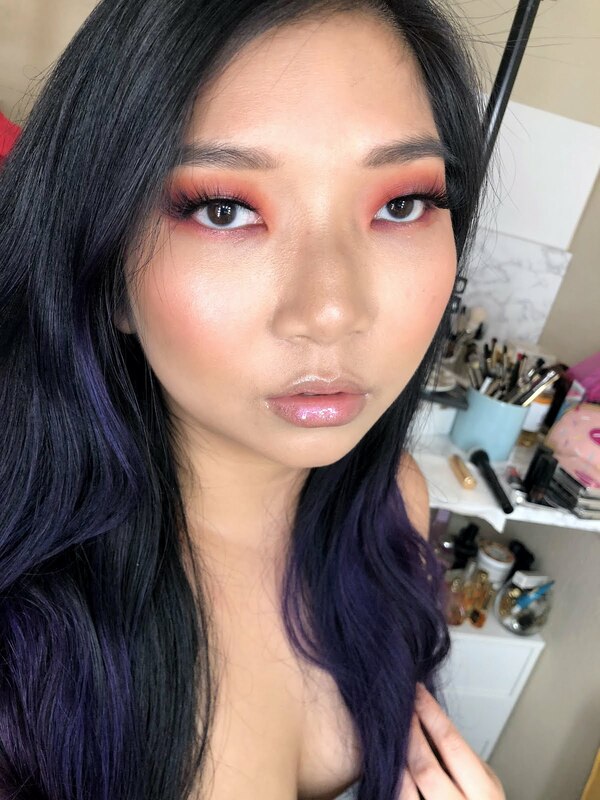 I have seen many brands release this kind of shade lately, so while I used to think this shade was really unique, it has quickly become common because it is so trendy. 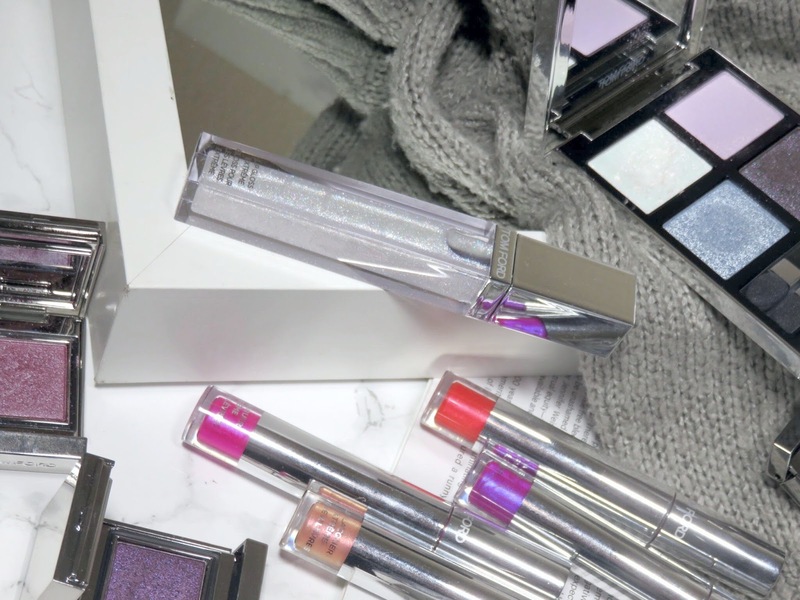 Brands like Lipstick Queen and Dose of Colors have similar shades. 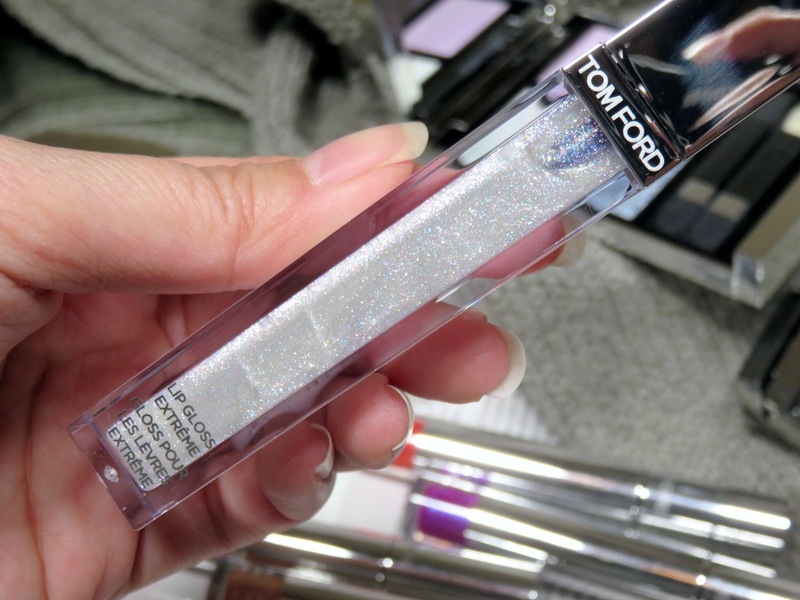 So really don't need to pay this much for a gloss like this, unless you're a big fan of Tom Ford. I do love the concentration and type of reflects in this gloss. It has enough reflect that it creates a glistening and glossy lip but the reflects are extremely fine and sophisticated. It looks like you lips are dripping in diamonds and I really love that! 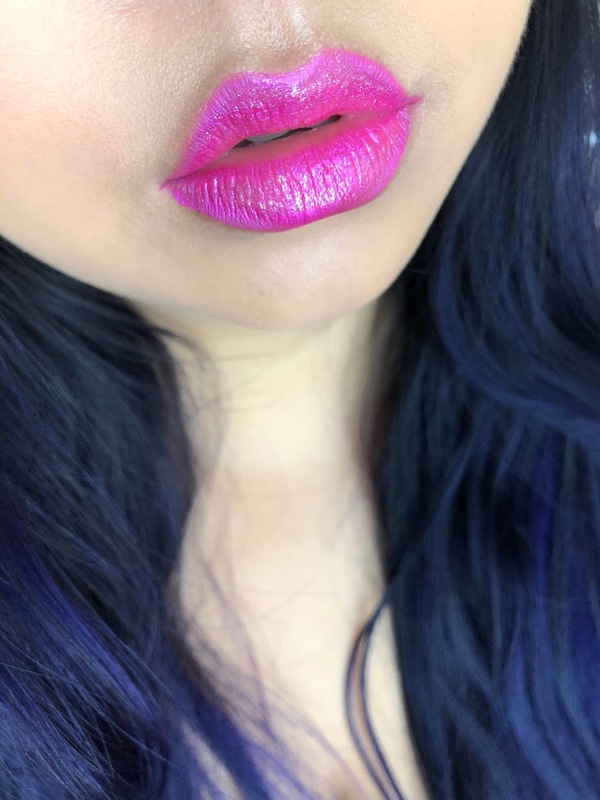 This is a shade that works well alone to provide a beautiful shimmer on the lips or layered on top of a lip color, like the Extreme Lip Lacquers or just a classic lipstick. Frankly, I do not recommend the Extreme Lacquers but their regular Lip Lacquers are great! Every time I use the Extreme Lacquers, I'm reminded about how much I loathe them! You don't have to stick to the brand. of course, but I wanted to mention them because these are the products I am featuring. It does have a slightly tacky texture to it but I wouldn't consider it sticky. The consistency is thicker than most lip glosses. It feels nice on the lips and actually smooths away any texture on my lips. I first tried it when my lips were in really terrible and dry condition and it didn't emphasize my crusty lips, it made them look better. This gloss comes with a brush applicator, which is nice but I don't think it is as good as a doe-foot because it does have that slightly tacky texture. The size is nice and small and the bristles taper to a finer tip that helps your get some precision application. Overall, I really like the finish and overall look of this lip gloss. The shimmer is fine and doesn't feel gritty but they are still concentrated and offer a beautiful sparkle. This gloss looks beautiful alone and even better on top of a lip color to add dimension and complexity. While it isn't the most unique shade, it's still a really beautiful gloss. The texture is nice and it wears for a decently long time. Also, as it wears off, it doesn't feel gritty from the shimmer. 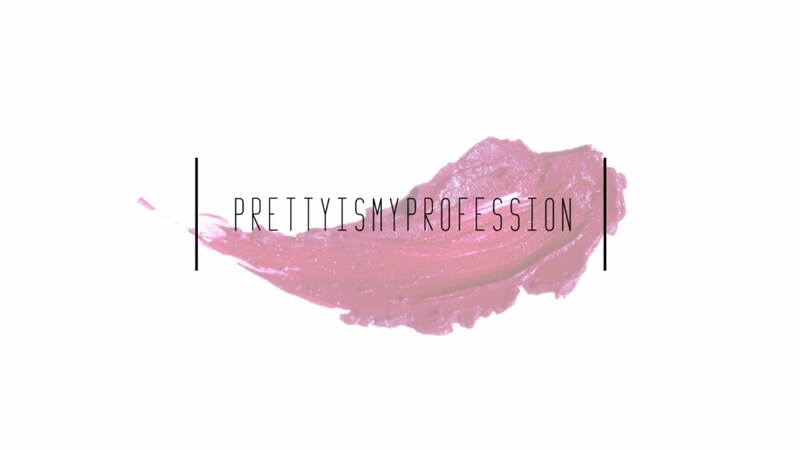 The formula is very smoothing and does help lightly hydrate the lips. 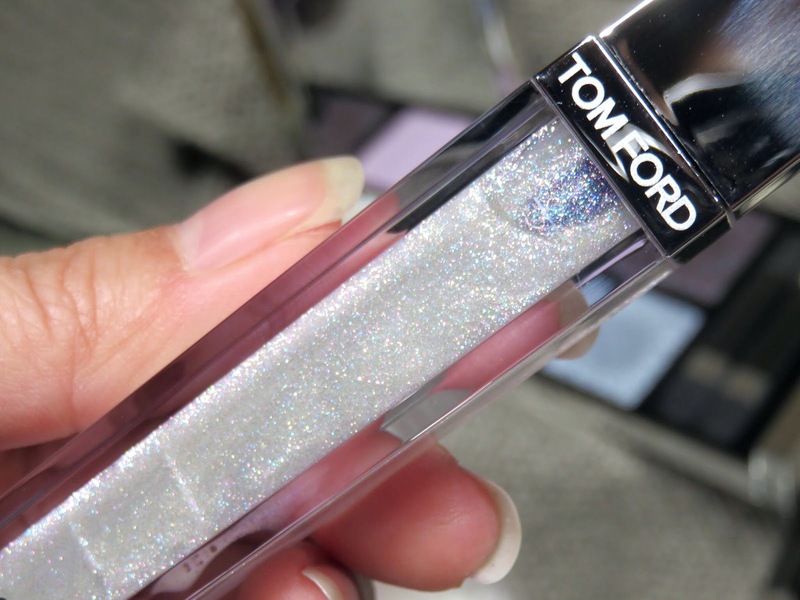 If you want your lips to look like it's dripping in diamonds, you need this! It really is beautiful!